We proudly offer our best quality marine services in delivering relevant consumables as food supplies, spare parts and varieties of goods on demand of our customers´ requirements. CMS Shipping & Ligistics can provide your ship and its vessel with a vast amount of products and not only… Please refer to our products overview below and do not hesitate to contact us for prices. Dealing with supply of a vessel’s full ship chandler requirements , the company provides the services to ships, either in port or at sea. The supplies are covering all Indian ports. Amreen ship care means a sphere is the high level of service accessible and the short time necessary to fill and distribute their special orders. We have a delighted customer base for Shipping domain, we are engaged in providing the services by skilled and experienced team of professionals with utmost perfection. 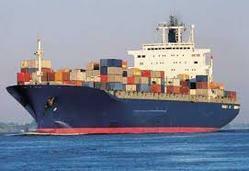 In addition, we have all amenities to provide shipping services at industry leading rates. We are one of the Ship Chandler's in Goa (Ship Stores Suppliers) in Indian Ports Working with highly competitive price level, Engaged in supplies of various Ship Spares/Stores to the navy vessel those Bounding for Indian Water in credit basis. Amreen ship care means a specialty is the high level of service available and the short time required to fill and deliver their special orders. As experts in ship related services, Amreen ship care is involved in every type of shipping & chandling services. We are the stockists of all kind of minorly & majorly used stores from Bearings, Dog Assembly, Quick Acting clents, Steel Bleaching & MS Plates, Angles, etc. We are also the stockist for used & new machineries like Turbo Chargers, Cylinder Liners, Piston-Crown, Rings, any type of Hydraulic Pumps, Generators, Filters, etc. A ship chandler is a retail dealer in special supplies or equipment for ship, who may also be responsible for the berthing and docking of the vessel before it arrives into port and is usually considered the liaison officers for the vessel's needs and demands in a foreign port. - Mormugao Port Trust (MPT), Vasco-Da-Gama, Goa on the West Coast, in India. - Kakinada Port, Andhra Pradesh on the East Coast, in India. The ship chandlers business was central to the existence and the social and political dynamics of ports and their waterfront areas.